Welcome, my friends, to 2014. Last year was a good year for film buffs. I think people probably say that most years - we are fortunate to live in a time where we have access to cinema from all over the world, and someone, somewhere is always innovating. Despite being a year that led to numerous reports of being 'The Summer That Killed the Blockbuster' (tell that to 2015), 2013 produced not just a number of great dramas and comedies, but a handful of great blockbusters as well. There was something great for every viewer in 2013, and that's rare. In a year this good, it's always hard to pick a Top 10 - and I haven't even seen a handful of the year's biggest releases yet, like Wadjda, Inside Llewyn Davis or Her. But I tried. I had to leave off some of my favorite films of the year (like Hunger Games: Catching Fire, Fruitvale Station, Upstream Color and Gravity) because it was just too competitive... but rest assured, there were a lot of great movies this year. This was such a good year for film that two of my 'most disappointing' movies were nevertheless excellent movies that would make the Top 10 of a weaker year. Read on for my own Top 10 Films of 2013! Shane Black is an amazing screenwriter who infuses standard blockbusters with wit and style. 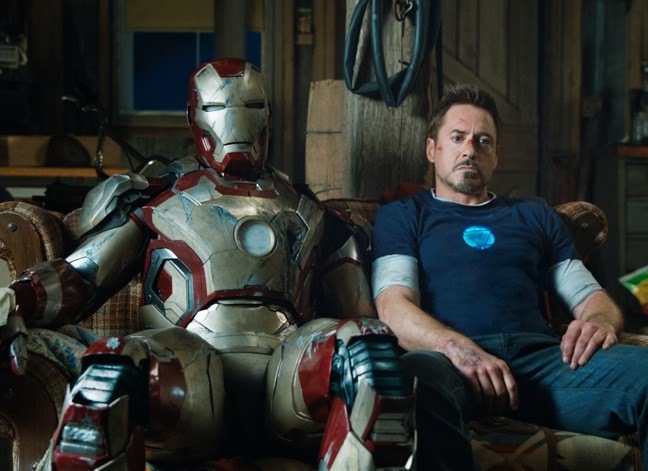 A few years ago, he teamed up with Robert Downey Jr. and Val Kilmer in the vivacious, witty neo-noir Kiss Kiss Bang Bang, so when Downey was looking for a new writer/director to take over his Iron Man franchise, Black was a natural choice - and, it turns out, an inspired one. Iron Man Three is an inspired combination of 90s action style and modern CGI pyrotechnics. It falters a bit with its rote climactic showdown, but until those final moments, Iron Man Three is vibrant and surprising. This is the best possible argument in favor of letting strong personal voices have the run of these big tentpole films. I'm typically not a huge fan of Harmony Korine's work, but Spring Breakers - about a group of college girls whose week of debauchery over spring break takes a dark turn - is a powerful argument that Korine deserves attention. Much like The Wolf of Wall Street, Korine seeks to criticize excess and hedonism simply by showing as much excess and hedonism as possible. As first, it's a little seductive, maybe, depending on what you're into. But as the party grows more and more out of control and the girls seek to keep it going further, longer, harder... well, that's when the critique becomes obvious. But no matter how far Korine pushes, Spring Breakers is never anything less than hypnotic. It's rare for a thriller to reach the level of tension Drug War hits in its first half-hour. Even less common is for a thriller to maintain that brutal pace through its whole runtime. In China, possessing even a small amount of meth is a death sentence - and Timmy Choi was just caught manufacturing literally tons of it. To escape a harsher penalty, he agrees to turn informant on a massive drug ring as a team of relentless police officers try to pull off one of the most ambitious raids ever. 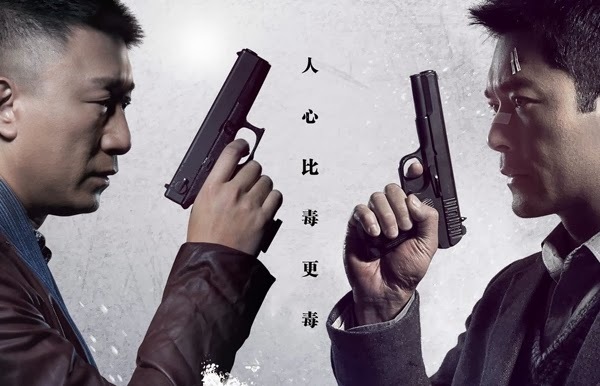 Drug War is destined to become a new favorite for fans of Asian action thrillers. Pacific Rim has plenty of problems, but it also taps a line directly into the pleasure-center of my brain, so here it is. Its inclusion on this list is a testament to the power of clear, simple storytelling. To the power of crisply laid-out action sequences and thorough world-building. To big, old-fashioned science fiction storytelling. 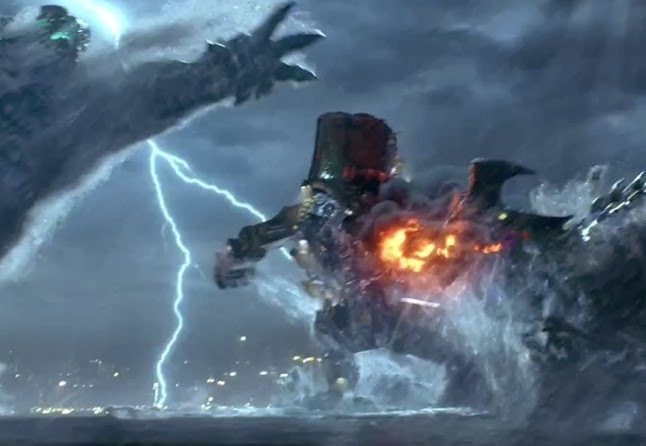 If I saw Pacific Rim when I was 12, it might have rewired my brain; as is, it was still one of the most engaging sci-fi action films I've seen in years. A haunting, melancholy tale that combines Alfred Hitchcock (most notably his excellent Shadow of a Doubt, which Stoker so closely resembles at times it feels like a remake) with the atmosphere and tropes of a modern horror film and the story of a coming-of-age tale. It's a surprisingly potent combination, but exceptional performances from a cold-as-ice Nicole Kidman, charmingly sociopathic Matthew Goode, and powerful newcomer Mia Wasikowska help keep the film cool without downplaying the passion that drives the story. It's the English-language debut of Park Chan-wook (Oldboy), and it more than lives up to his reputation. If I'm being honest, my 'Top 5' here is actually more like (Top 1, five-way tie), because I love each film equally, albeit in some VERY different ways. Kyle's already gone into a lot of depth on why this film's so great, so I'll keep this entry short. Just know that Before Midnight manages to build on the two previous films (each great in their own right) without repeating either. Director Richard Linklater and stars Julie Delpy and Ethan Hawke (the three were also co-writers for the film) have crafted perhaps the most lived-in series of relationship films in the medium's history. Who thought 71-year old Martin Scorsese would top infamous provocateur Harmony Korine when it came to bachanalian cinematic orgies in 2013? 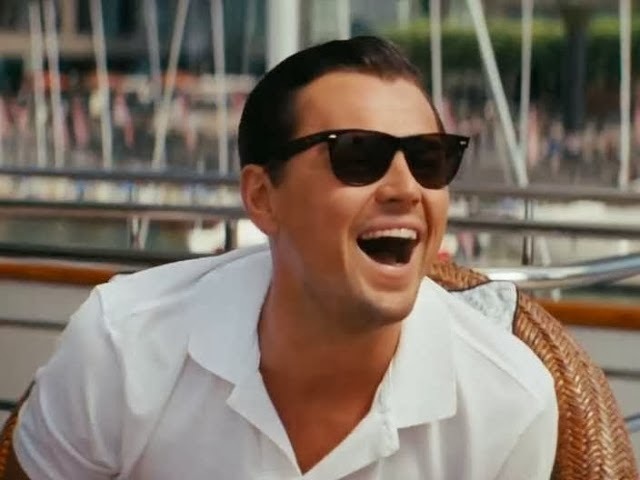 The Wolf of Wall Street is smart, powerful, and energetic, a brutal takedown of both a man who ruined countless lives (DiCaprio's Jordan Belfort) and the system that let him get away with it for so long, and with so little punishment. While Scorsese's refusal to overtly moralize has left some viewers angry or confused, it nevertheless makes for an uncommonly smart film that closes out an unofficial trilogy about the evolution of crime in America with Goodfellas and Casino - and lives up to the legacy that company suggests. 12 Years A Slave is hard to watch, easily the most difficult film on this list. Unflinching and emotional, the story of Solomon Northrup and his decade-plus of suffering - his journey from kind and educated freeman to broken slave - is hard to watch. 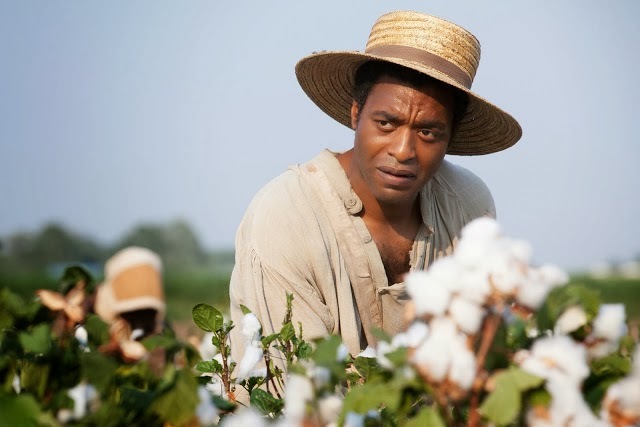 Director Steve McQueen's camera refuses to look away, forcing us to absorb the horrors perpetrated on Solomon, expertly played in a star-making role by Chiwetel Ejiofor. A powerful refutation to all the American pop culture that seeks to whitewash slavery and American race relations, it's also as well-crafted a film as you could hope to see. If there's a more accurate picture of post-grad life in our times, I haven't found it. Noah Baumbach and Greta Gerwig have been kicking around the mumblecore scene for some time now with varying degrees of success, but it's Frances Ha that finds both of them working at the absolute pinnacle of their talents. Warm, funny, and sharply observed, Baumbach and Gerwig bring Frances and her world to life in a way few films can hope to do. 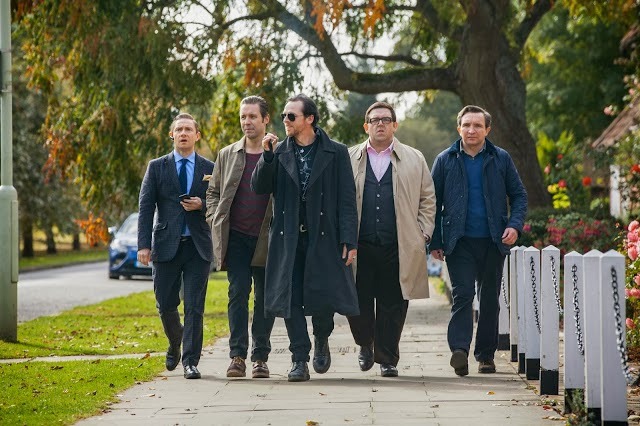 While The World's End is less overtly funny than Shaun of the Dead and less clearly satirical than Hot Fuzz, it is very probably the strongest film in the trilogy by most other criteria. Sharply written and featuring the best acting work of Pegg's and Frost's careers, The World's End makes an equally great double-feature with last year's excellent horror-riff The Cabin in the Woods and this year's mellow teen coming-of-age heartbreaker The Spectacular Now. That's because Pegg, Frost, and director Edgar Wright walk the fine line between insightful melancholy and gut-busting comedy with skill and confidence. Wright continues to show why he is quite possibly the most innovative director working today. I'm probably going to get some flack for including this one, which is legitimately a very good movie. But it's also a movie with some problems, at least in my head, though those problems don't really pop up at all until 75% of the way through the film. Greengrass is great at building tension through camerawork and editing, so the film plays like a thriller - but it's a thriller where the big face-off at the end is between Superman and a child, and it's tough to get worked up about such a lopsided conflict. Again, it's a very good movie overall, but a tighter focus on Hanks and the pirates would have pushed it over the edge for me. But hey, if there's any film that's going to piss people off MORE than Captain Phillips, it's this one. Kyle has it in his Top 5 of the year. People love it. But for me, it's half a good movie, half a bloated, unfocused mess that happens to be grounded by great performances. Russell asks in the film, "Who's the real master, the painter or the forger?" and this film is the answer: The painter is the real master, because his work has vision, soul, meaning. The forger - and Russell himself - has plenty of technical skill, but the best he can manage is riffing on the work of the masters. Like Captain Phillips above, this isn't disappointing because it's a bad film, but because - due to the talent of the creators - it should have and could have been so much better. What on Earth happened to Peter Jackson? The Hobbit films have been meandering, off-putting, and almost viscerally ugly. Jackson has now gone 'Full Lucas' and gifted a whole new group of viewers with an unambiguously bad prequel series to a generation-defining work of cinematic fantasy. Is there anything I can say about this one that hasn't been said before? Abrams is a talented director, but this was just a mess on every level. There's little tension, plot twists that make no sense, and it became the most ill-advised remake in cinematic history about halfway through, to little payoff. There's the core of a genuinely fantastic idea here, but the brilliant screenwriters behind Transformers: Revenge of the Fallen aren't the guys to suss it out. There are a lot of people who thought I hated Man of Steel. I didn't. Snyder was a spectacular visual stylist, the cast ranged from fine (Cavill) to excellent (Adams, Traue), and it had some of the most visceral CGI action sequences ever put to film. But it was about three films - each of which could have been great on its own - jammed into one film that felt painfully schizophrenic. There is no movie I wanted to like more this year, and no movie that left me quite as heartbroken. Man of Steel is just a mess, through and through... but, man, what a gorgeous mess. So that's it for my thoughts this year. Because I'm weirdly obsessive, I ranked every 2013 film I saw from favorite to least favorite - check it out! - so if you want more, you've got it. Or, check out Kyle's Top 10 out for a very different take on this year in film.